Taylors Landing is one of the first established campsites you will see signs to when you enter the park. It is accessed via paved and unpaved roads, and is suitable for all vehicles. It is popular spot for boat launches, not necessarily camping. At time of writing, there were no bookings available, but since then, bookings are required. 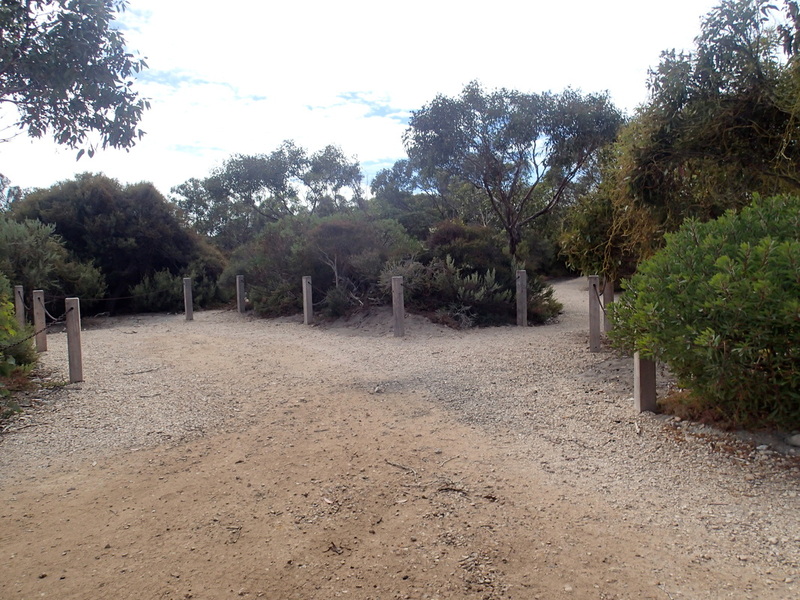 This campground is situated in mallee scrub away from the beach, but accessible via a path. There are no views of the ocean, but protected from any winds that come from it. There are only 3 campsites, so its very small. 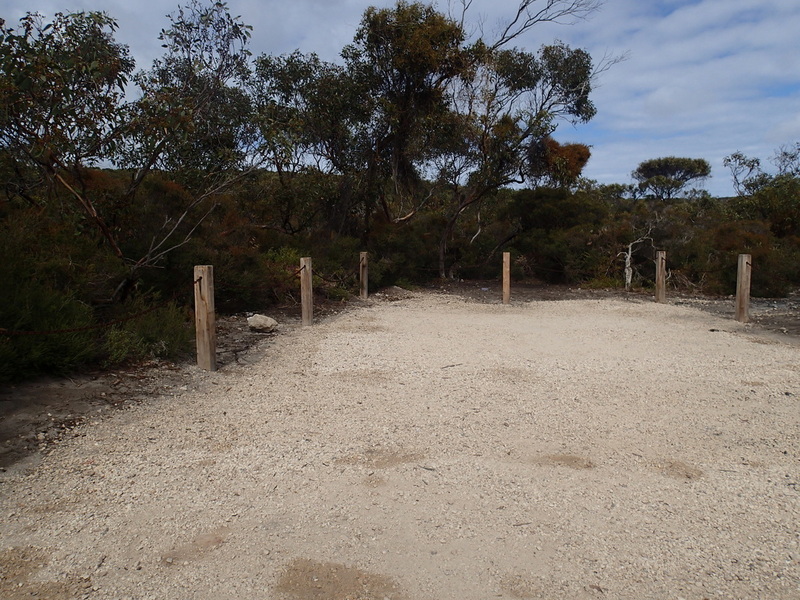 Each campsite has a designated area, marked out by bollards and chains, so you are confined to that camping space. Caravan, camper trailers would be able to fit in to some of the campsites, but it could be a tight fit depending on the size of your vehicle. On a busy weekend, when the park was quite full, this campground was not. It only had 1 person in it, and they were packing up. 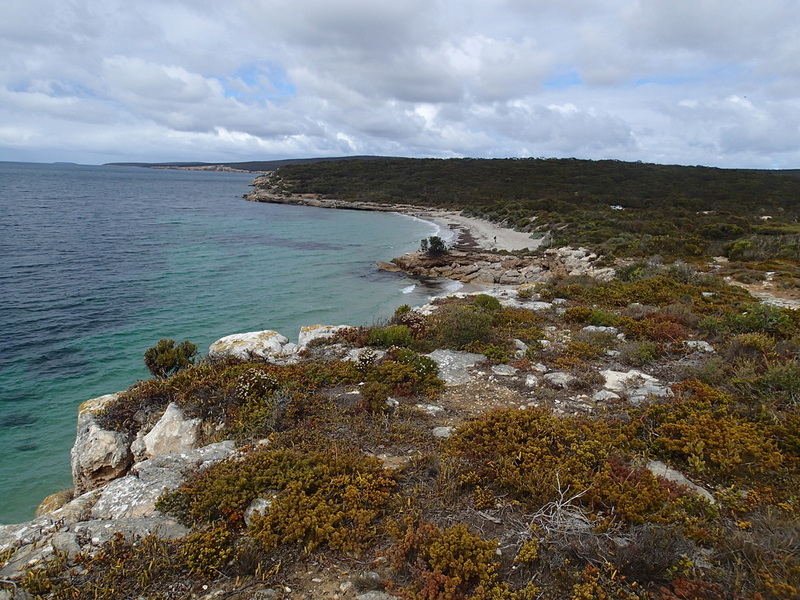 Your view from your site, could be any bush site in Australia, but the design of the camping location means that you aren't looking at any place of interest. If you have travelled some distance to see Lincoln NP, then you are probably wanting to see some of its beauty, and not be tucked away in the middle of it. I think the majority of people who would camp here, are those who are launching their boats, and it's more of a stopover on the way to something else sort of campsite. We didn't stay here, but kept on driving. There was a drop toilet (condition unknown as we didn't stay around to check it out). As with all sites in the park, you need to bring in your own water, and not rely on any water tanks. Apart from the boat launching, the nearby beach could be suitable for swimming, but it was a windy day when we visited, so it was quite choppy.